The world is not lacking for self-development books and other inspiring literature. But for millennial women with a penchant for ambition and self-discovery, sometimes the latest sportsperson autobiography just doesn’t cut it. We want books that are written for (or by) women who have firstly have paved the way before us, but secondly who give relatable life lessons that stay with us long after we’ve turned the final page. 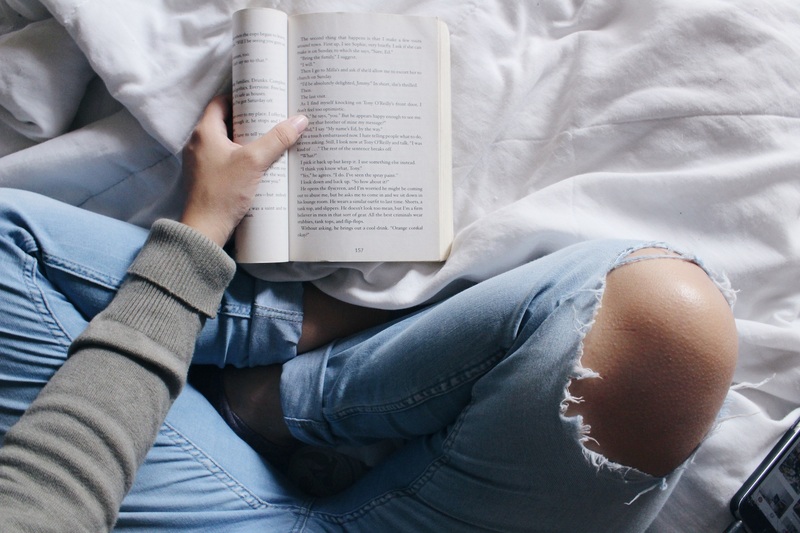 So for young women with entrepreneurial ambitions, a thirst for knowledge, and the appreciation for self-development and new ways of thinking, here are 5 particularly note-worthy books to add to your reading list. Peta Kelly is one of my business idols and an all-round inspiration to the millennial generation. I enjoy and align with her content so much that I flew to Sydney (from New Zealand) to be at one of her live events in 2016, so of course I jumped at the chance to buy her first book that was released last year. As it says on the cover, this book is “for millennials and anyone who gives a sh*t”. In a nutshell, it’s all about conscious living and conscious thinking – in order to not only benefit your own life, but the planet as a whole. It’s likely the most “woke” book of the list, but the most highly recommended for those women who want to be inspired to make an impact and live their most aligned and authentic life. Your “Mean Girl” being the voice inside your head, or the metaphorical devil on your shoulder, telling you that you cannot do something or cannot be something. It is the overthinking part of your brain that tells you that you’re not worthy – and essentially self-sabotages every aspect of your life. This is a great book for re-wiring your thinking process to be more empowering, loving, and beneficial to your mental health – and therefore kicking your Mean Girl to the curb. The founder of online fashion empire Nasty Gal, Sophia Amoruso, wrote this biographical book to tell her story from rags to riches – but also all the roadblocks and learnings she had along the way. This is a must-read for any entrepreneurial and business-minded young women looking for some inspirational, yet also practical, advice on how to go about starting their own “hustle”. Her book inspired the 2017 Netflix original series of the same name. Although the shortest book on this list, 50 Ways to yay is a light-hearted yet practical guide to transforming your life, tapping into gratitude and therefore tapping into your happiness. It gives you “Transformative Tools for a Whole Lot of Happy” including positive mantras, written exercises and new ways of thinking to help improve every aspect of your life. As the title suggests, this book has a more “mystical” leaning to its self-development theme. As in, it touches on subjects more akin to the spiritual and divination variety (like astrology, tarot and meditation). But it’s written from a sassy and down-to-earth millennial lense, namely by lifestyle writer and founder of The Numinous, Ruby Warrington. This makes it super accessible and relatable to young women (and to those who find these more “out there” spiritual concepts still quite new uncharted territory!). While not an exhaustive list, these are 5 books that have made an impact on me personally and certainly influenced new and different waves of thinking – that have changed my life for the better! Do you have any empowering and inspiring book recommendations for young women? With the desire to go "digital nomad" and help businesses with their social media, Chelsea founded her boutique social media agency, Queen of Swords Media, in 2018. She attended Auckland University of Technology in New Zealand, where she graduated with a Bachelor of Business (Marketing major) and a Bachelor of Communication Studies (PR major). She enjoys speaking and writing about her journey so far in the world of business, self-development and mindfulness as a young millennial woman navigating her way through life, and of course social media.